The Apple woes never seem to end as for now. After the various malware attacks, including the recent potent FlashBack attack, we thought maybe the attackers might just want to let it go, having taught Apple an important lesson in security, but we were wrong. Now that they have tasted the Apple, they just wont let go! Intego has discovered a new variant of the Flashback malware known as the Flashback.S, which continues to use a Java vulnerability against whom Apple was supposed to have issued a patch. The shocking revelation is that no password is required for this malware variant to install on a user’s system. It intrudes into the local files on the system, manipulates data and deletes its record from the cache in order to prevent it from being detected. Intego reports that the number of systems affected by the Flashback.S is rapidly multiplying. The Flashback.S continues to be a Java-exploiting malware which is reported to be more subtle than its predecessor, hence invading the system and affecting it even more quietly while skipping the required authorized permissions/passwords. Intego’s Mac antivirus, VirusBarrier X6 with malware definitions dated April 23, 2012 or later, will detect and remove all variants of the Flashback malware. And suddenly, things are starting to look troublesome in the Apple desktop world. 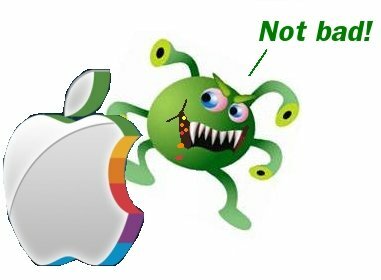 New malware attacks are emerging almost every week; Apple is yet to formulate a systematic approach on undertaking security measures and educating it’s users on how to tackle such threats on time. One thing I couldn’t help but notice is that these increased malware attacks are primarily happening in the post-Jobs era. Maybe the attackers consider Tim Cooks to be a weak strategist? Or maybe they just hate him. Or maybe its just that the Mac market share is growing! But its high time Apple buckled up and worked more on improving the security system for if this attitude continues along with the malware attacks, a user may not feel secure on the Mac OS X platform and may consider alternate options. Apple, you don’t want to lose your users, do you? Apart from Intego, Kaspersky, Symantec, McAfee, PC Tools and Trend Micro who offer paid security solutions for Mac computers, we also have Sophos, Avast and now Avira who offer a free anti-virus for Mac. Mac users may want to consider installing an anti-virus now. Weeeeeee! How does it feel Mac users! after years of listening to your smug comments on how Macs could not be compramised and ME telling you that EVERYTHING is hackable. I can now just sit back a LMFAO! Most fanbios aren’t bright enough to install anti-malware software in the first place let alone run a scan. They expect Apple to do everything for them. Java is crap. Time to dump it! I’m with ya Dantv. Java is nothing but crap and it needs to be unloaded! They get a few users and a huge exploit trololol.